Africans are invited to participate in the 2018 One Acre Fund Young Professionals Program for Young Africans, only eligible persons will be considered for the program, hurry and apply!!! 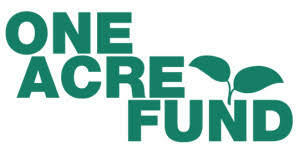 One Acre Fund is looking to place a cohort of paid interns and fellows in several departments in 2018. For twelve to twenty-four weeks (January to April/January to July), interns and fellows will work on impactful projects, receive mentorship from organizational leaders and provide support to One Acre Fund’s operations. Interns and fellows will be given substantial work assignments and asked to produce high quality deliverables. Value of Award: This is a paid program. Interns/Fellows will be provided with a reasonable stipend for the duration of their contract. Those based at rural sites will be provided assistance in locating suitable housing. Internships are a recruiting initiative. Historically, about 40% of interns/fellows are hired on to full-time roles. Eligible Countries: Kenya, Rwanda, Uganda, Malawi or Zambia. How to Apply: Complete this application form by October 15th, 2017. Submitting a CV is optional but you must complete the application form including two essays and proof of work eligibility.